Salt has been used for thousands of years to preserve food and being able to store food for longer periods meant humans could thrive during periods when food isn’t readily available or when travelling to new, unexplored lands. Civilisation was built upon humans being able to preserve food and along with drying and smoking, salt was a key ingredient in early human success. In fact, salt was so valuable to early societies it was one of the first international trade commodities and used as currency along with the food sources like salt cod or salted meats that salt help produce. 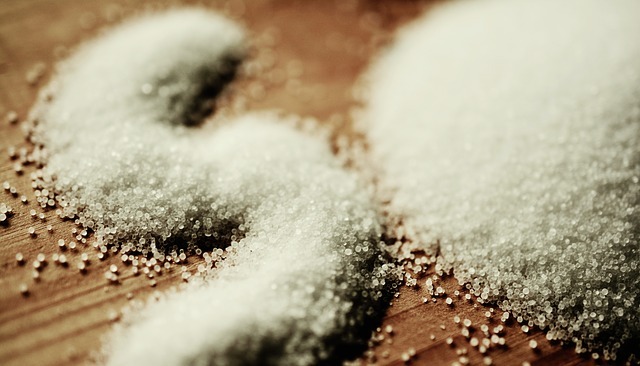 The key attribute of salt as a preservative is that it draws moisture out of the food via osmosis. Most microorganisms, moulds and bacteria that will spoil food or make you ill cannot survive in an environment with salt as the salt dehydrates them. 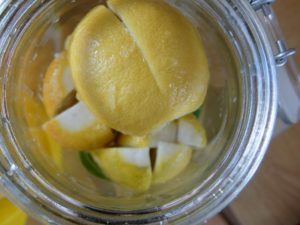 Salting food either by directly rubbing salt onto the surface of the food or by making a brine by mixing salt with water and then submerging the food in the brine are both methods that preserve the food, primarily by dehydration. The problem with using salt alone as a cure is that some bacteria are able to survive in a saline environment. Clostridium botulinum bacteria that produce the toxin that causes botulism is not suppressed by salt and can even survive at high temperatures after cooking. 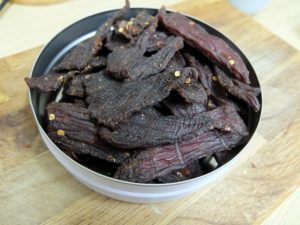 It should be noted however salt is used in conjunction with other preservation methods without nitrites, such as when making beef jerky. Sodium nitrate and Sodium nitrite both stop the growth of botulism causing bacteria and are used in the production of cured meats commercially throughout the world. Curing salts are a combination of salt and either a small amount of sodium nitrate or sodium nitrite as well as a red dye that make the salt look pink. These curing salts are very economical to use and are the best way to make cured food safe. The pink dye is only for identification purposes and has no flavour or colour effect in the preserved food. The reason why curing salt needs to be easily identifiable is because nitrites can be toxic if used at above-recommended levels. It should be noted that nitrites are commonly found in foods we all eat every day. Leafy vegetables are a large source of nitrites and vegetables like celery and spinach can contain up to 10 times more nitrites than cured meat. If you use curing salts at the recommended levels the is no danger so always be sure to follow the instructions on the packet or from a reliable recipe. I highly recommend an accurate scale to measure curing salts, with this simple scale you can measure the precise amounts needed. Both sodium nitrate and nitrite are used primarily for their bacteria inhibiting properties but they also have other benefits. Colour: Foods like meat that are cured with salt alone tend to go lose their colour and turn an unappealing grey. The reason why uncooked meat is red is to do with a pigment called myoglobin which stores oxygen in the cells of the muscle. When we cook a piece of meat the myoglobin loses its store of oxygen and this is why it changes colour. The same thing happens when you salt the meat, the oxygen is removed and the colour of the meat changes. When using nitrites or nitrate the oxygen in the myoglobin is replaced by the nitrate so the colour of the meat stays a deep red both before and after cooking. If you look at a piece of corned beef or salted beef it has been cooked for a couple of hours in most cases but still retains a deep red colour. Preserve: Nitrates and nitrites are known to inhibit and stop the growth of almost all food spoiling bacteria including the ones that salt alone cannot. This is very important to food safety and if you are intending to cure any meat for periods of more than a few days. even if it is cooked after curing you will want to use curing salts with added nitrites. Meat that is cured for longer periods like salami or hams that often are cured but not cooked is commonly preserved with nitrates as well as nitrites which work in combination. Over time the nitrates break down into nitrites which keep bacteria from growing for the much longer periods that the meat is cured. There are 2 main types of curing salts that have applications for different kinds of curing. 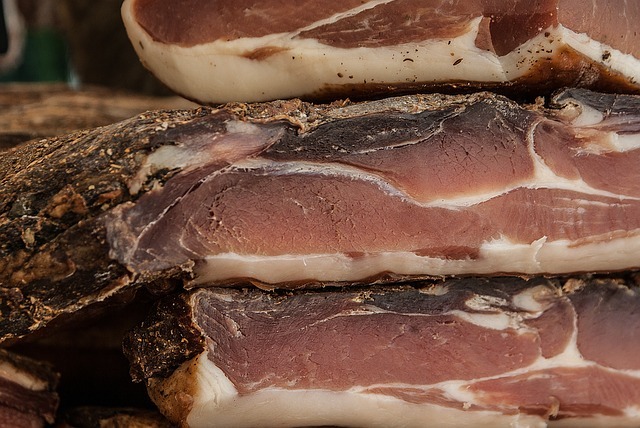 Meat that is cured over a short period of time and then cooked afterwards needs a different type of cure to a meat that is cured over many months or years and often eaten raw, such as, salami or air dried hams like Serrano or prosciutto. Depending on where you live in the world there may be different names but most often they are numbered either #1 or #2. Also sold under the name Instacure #1, Pink Curing Salt #1 or Quick Cure. 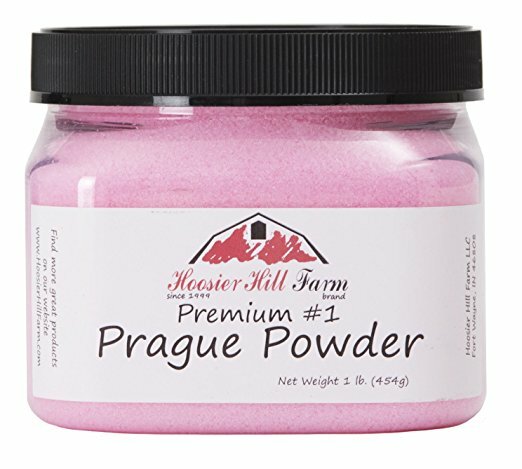 Prague powder #1 is a combination of 6.25% sodium nitrite and 93.75% salt (sodium chloride) and usually some anti caking agents as well as pink dye. The dye is added to make it obvious that the salt has nitrites in it and serves no purpose in terms of flavouring or colouring your cures. Prague Powder #1 works quickly to cure meat and is applicable to use on meats that are cured over a short period. Products like bacon, sausage, ham or corned beef that is cured and then cooked before being consumed are cured with Prague powder #1. Curing salts like Prague powder #1 are very effective and only small amounts are needed to cure a piece of meat. Recommended levels are around 1 teaspoon of curing salt per 5lb (2.27kg) of meat, that is around 2.5 grams per kg of meat. Always follow the directions provided by the manufacturer. Also sold as Instacure #2, or Slow Cure. Prague powder #2 is a combination of 6.25% sodium nitrite, 4.75% sodium nitrate and 89% salt as well as pink dye and some anti caking agents. The key difference between the two curing salts is the prague powder #2 has the additional sodium nitrate as well as sodium nitrite found in prague powder #1. This addition is good for curing meats over long periods. Products like salami, air dried hams such as prosciutto or serrano ham. The preserving power of prague powder #2 lasts over months as the nitrates slowly convert to nitrites as the meat cures. Prague powder is used at the same rates as prague powder #1 so 1 tsp is enough for 5lb (2.27kg) of meat. That is 2.5 grams per kg of meat. As you can tell from the dosage of both types of curing salt a little amount is very effective. Most recipes will specify how much curing salt is needed to cure the piece of meat you are working with. This curing salt will be mixed with regular kosher salt or sea salt to make up the whole amount of the cure. It is very important to follow recipes closely, as mentioned previously curing salt is toxic above recommended levels. Make sure you have a good set of accurate scales when measuring your curing salts so you know the exact dosages making it perfectly safe to consume cured products. Your descriptions and explanations are excellent and in my view superior to any other I’ve read many of which appear to be very confusing and so potentially dangerous; so thank you. Question… we are planning to dry cure a 3.5 lb. sirloin tip roast. We have InstaCure #1 Sodium Nitrate Pink Salt. My mother’s, slight ancient, recipe calls for ‘5tsp saltpetre’, and pickling spices, cinnamon and garlic for a 5-10 lb roast. We rubbed the spices in for three days in a row then wrapped and put it in the fridge for 2-3 weeks, turning it daily. Followed by slow oven cooking in 2 inches water for 5-7 hours. Having poured over the information now available on line for curing beef, I am worried that the Pink Salt we have may not be appropriate for this recipe. 1. Can you tell me if it would be safe to use these amounts (smaller amount of Pink Salt for a 3.5 lb roast) and to leave it curing for 2 weeks or more? 2. If we use a lot less Pink Salt (1tsp per 5lb), and leave to cure only up to 1 week, will we get the flavour and good result we have had with the old recipe? Alternatively, could you suggest a better recipe we could use for this endeavour? Hi Diana, the amounts of curing salts that are recommended to be used is because nitrites in curing salts pose a health risk if used in too large of a quantity. I wouldn’t like to advise you on a matter like this, so I would recommend seeking advice from the supplier of your curing salt. With regards to the time you cure the joint for, 1 week will be enough for a joint that size. My corned beef recipe here is similar and is only cured for a week. 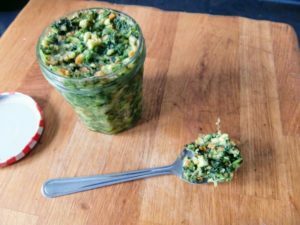 Can Insta Cure #2 be used without adding extra salt to pork when making Soppresata? For example if made 20lbs of pork and used 4 tsp of Insta cure #2. Do I have to add more salt? Instacure #2 should be used as well as salt. The amount of cure #2 you used is about the right ratio of 0.25% of the weight of the meat, along with this you need to use about 2.25% regular salt. 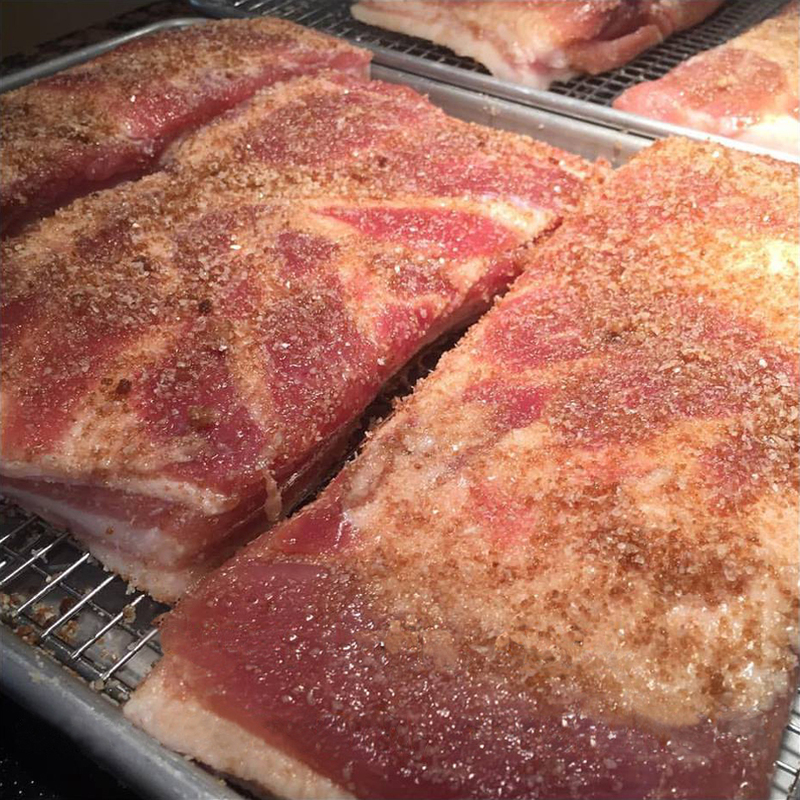 The salt and the instacure #2 are both required to cure the pork as they work together to prevent bacteria. I would recommend always following a recipe from a reliable source. This was the best most straightforward article I have read on this topic! Thank you! 1. I had 7 tablespoons of salt and 2 teaspoons prague #2 per 10 pounds of pork to my sopressata. Does that sound right? I never know how much actual salt to add–I read 2.5-3% wait, but when we cook some as sausage, it is too salty for sausage….what do you think? 2. I always worry that the pink salt is so little, how can I possible make sure it spread through all the meat as opposed to staying where I sprinkle it. 3. What do you recommend as optimal temperature and humidity to cure sopressata? 4. Because I am using Prague #2 for my sopressata, and like to use some of the meat to stuff sausage casings I later cook, is it ok that prague #2 is in them? Do I really need to make two batches of meat–one batch w prague 2 for sopressata and one batch for prague 1 for sausage? Can’t prague 2 work well enough for both? The best thing to do in situations like this is finding the best recipe you can and then referring to that. When curing meat I always work with weight. Generally, you would use 2.75% regular salt and 0.25% curing salt (Prague powder #2). You would take the weight of your meat and convert it to kilograms, for you this would be 4.55kg. 2.75% of this would be 125 grams of regular salt and 0.25% would be 11 grams of curing salt. Looking at your measurements it seems pretty close to this if you convert teaspoons and tablespoons to grams. If you think you have used too much or too little then it is best to start again. The best way to get this into the meat is to thoroughly mix all the salts together with all the other dry ingredients/spices you are using and then mix this into the meat. The salt works its way through the meat with time pentatrating all the way through via osmosis. You do only need a very small amount of curing salt, don’t be tempted to increase this. Prague powder #2 has two active ingredients that we are interested in, sodium nitrate and sodium nitrite. One cures quickly and in the short term, the other releases slowly over time and keeps meat that you would eat raw safe. I would suggest you invest in both cure #1 and #2 as they have different ratios of the active ingredients. When dealing with cured meats it is so important to do things properly and safely.